Steven D. Crandall is President of Crandall/Partners. He has over 25 years of experience in all phases of human resource work and has served as Senior Vice President of Human Resources for Old Kent Financial Corporation, a $25 billion bank holding company based in Grand Rapids, MI. More recently, Steve served as Senior Vice President of Human Resources at Donnelly Corporation, a Tier One automotive industry supplier with over $1.2 billion in annual sales based in Holland, MI. 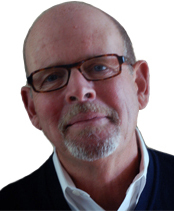 Steve has been an adjunct faculty member specializing in Organizational Management and Communications courses for Davenport University, Grand Valley State University, Aquinas College, and the University of Wisconsin Management Institute. He is a certified Leader Effectiveness Training facilitator, and served on the Northview Public Schools Board of Education for eight years, including five years as Board President. In addition, Steve enjoys working with boards of non-profits, schools and churches in the areas of board governance, policy development and team building. Steve is a frequent speaker on the subjects of motivation and leadership, sales development, self improvement, performance management and related topics. Steve holds a Bachelors degree in Psychology from Michigan State University and a Masters degree in Organizational Behavior from Aquinas College. Learn more about Crandall Partners, as Steve Crandall takes a few moments to talk about the Crandall Partners approach!